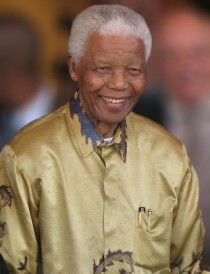 On December the 5th 2013, Nelson Mandela passed away, leaving as his legacy a free and reconciled South Africa and a world inspired by his determination, tenacity and commitment. In Nelson Mandela’s honour, we’ve added one of his renowned quotes to the Poetic Pieces collection. This quote clearly sums up the attitude that helped Mandela stay focused on his dream, despite the apparent impossibility of his circumstances. 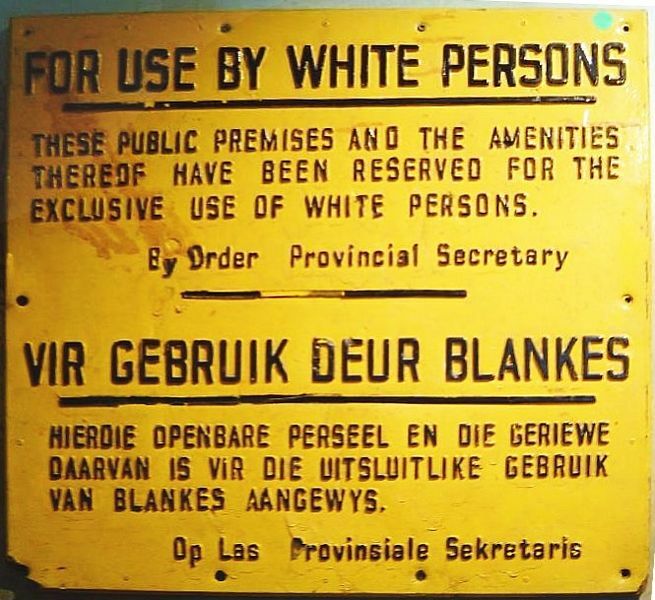 Imagine, at the age of 44, being imprisoned for life in a country that views you as a lower class citizen, yet 30 years later rising to become the liberator of your people and then the first democratically elected president of South Africa. 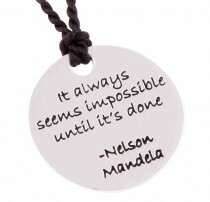 “It always seems impossible until it’s done” is a reminder to stay determined and committed to our dreams and goals. 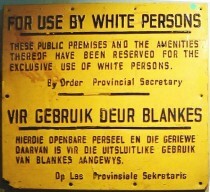 Nelson Mandela exemplified how this is done, to the extreme. A sterling silver disc measuring 21 mm in diametre, strung from a 45 cm natural silk black cord and finished with a sterling silver clasp. 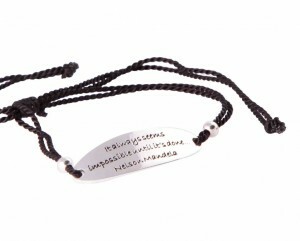 A fully adjustable bracelet comprising an inscribed piece of sterling silver, strung on a natural silk black cord. To request a full Poetic Pieces catalogue, lease click here. Really like the sentiment behind the Mandela jewellery, look forward to visisting your site at the fair.